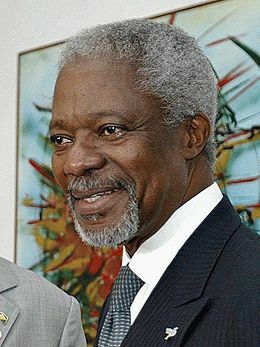 Kofi Annan was ornb into a family of traditional chiefs of the Fante tribe in Ghana, He rose to become Secretary-General of the United Nations, winning the Nobel Peace Prize in 2001. He grew up in Ghana where he became known as a student leader. He gained a scholarship to study in the US. He also later studied in Geneva before returning to the US to study management at MIT. For most of his life, he has worked in the United nations rising from the lower ranks to become one of the few insiders to be awarded the top job of Secretary General. 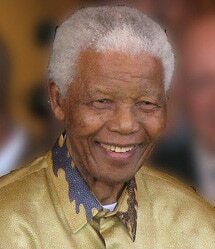 He served as Secretary General for two terms from 1997 to 2007. He is also known for his stoic calm amidst great uncertainty. He yogic detachment and inner peace are well suited to his task of international diplomacy. 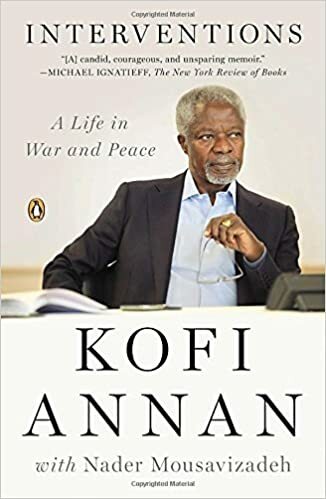 Kofi Annan is married to Nane Annan from Sweden. She is a lawyer and painter and has been a strong supporter of the United Nations. They have had three children.